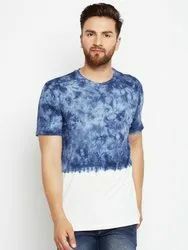 The Dry State brings you this limited edition round neck 100% Cotton Tie Dye Tshirt having a quality which none can match. We are known to provide the best quality in the design's. The design has NO FEEL print quality and doesn't fade with time..!! Meaning NO RUBBER PRINT, NO BLEEDING OF COLOUR and NO SHRINKAGE of fabric..!! Grab NOW..!! 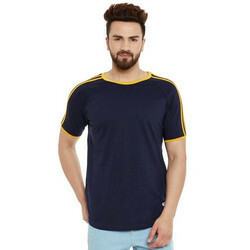 Being a client-centric organization, we are engaged in manufacturing Men's Plain T Shirts. 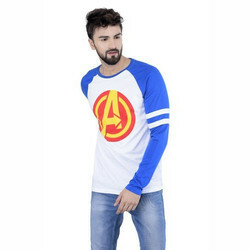 100% cotton men's fancy stylish men's t shirt.